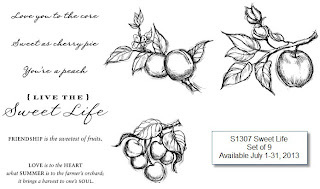 Welcome to our July Stamp of the Month Blog Hop featuring Sweet Life! 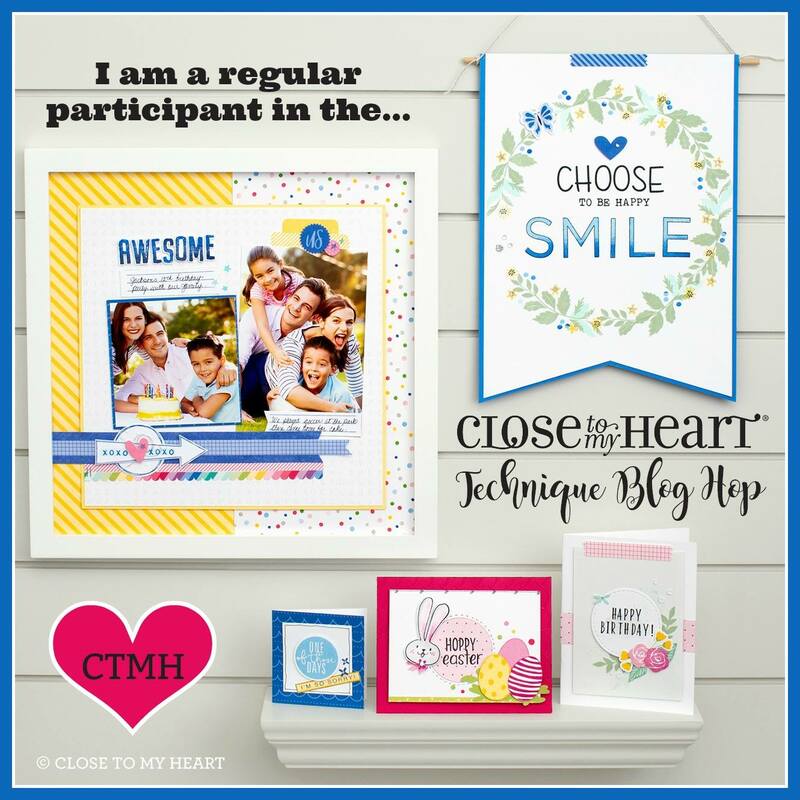 This month there are over 50 consultants sharing their talents to showcase the July Stamp of the Month! 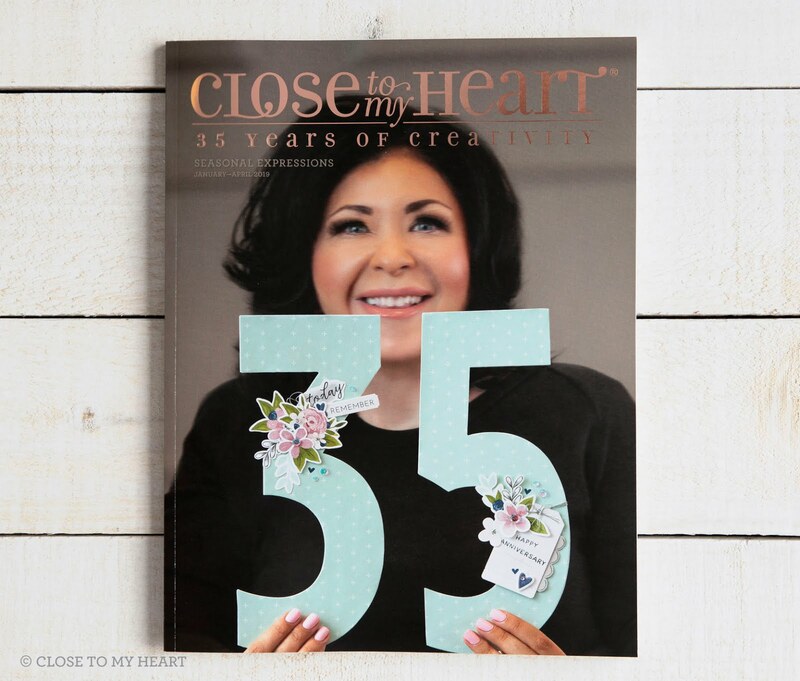 I know you'll find lots of great ideas to inspire you so click on the links at the end of this post to keep on hopping! If you've come from Teresa's blog you're on the right track. Click here to see a list of all the consultants participating this month. 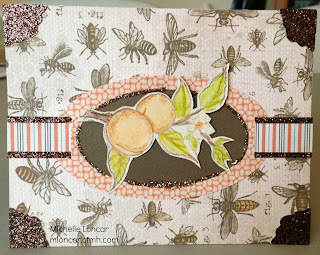 This month I'm sharing two cards I made using images from Sweet Life. 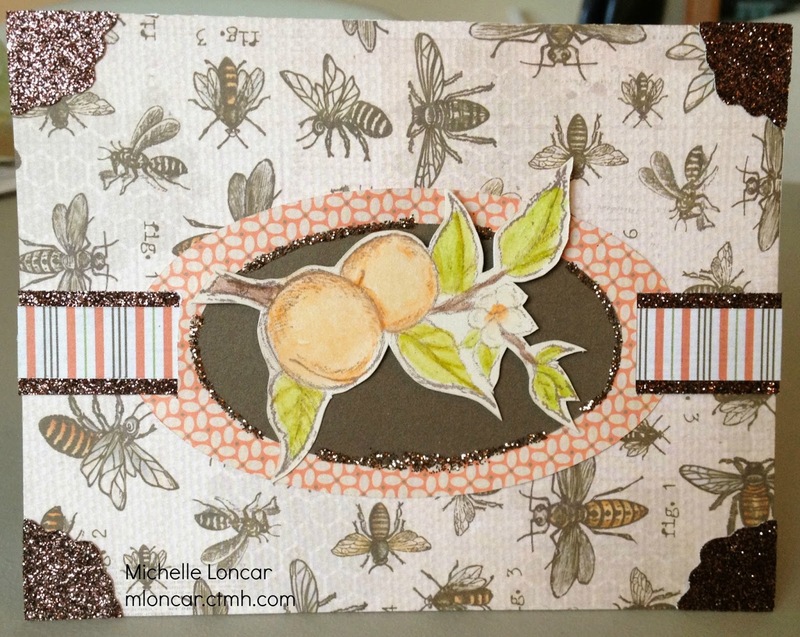 This first card shows the peaches colored with watercolor pencils. After coloring I gently used a water pen to soften the pencil images. 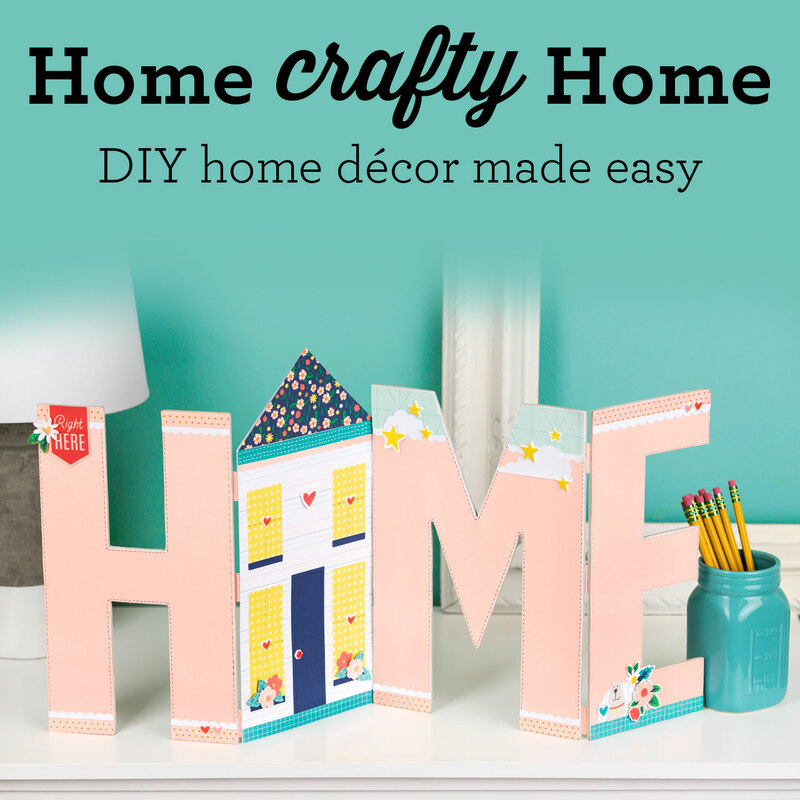 The Cricut Art Philosophy cartridge was used to make the ovals and corner accents. Brown Glitter Paper and some Bronze Glitter Gel added a nice bit of sparkle to the look! The papers are from the Buzz & Bumble paper pack. 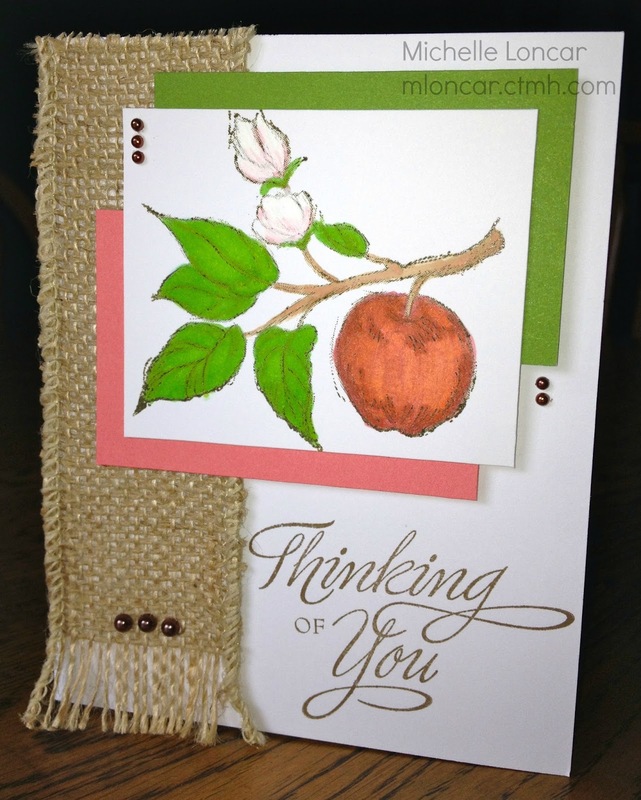 The apple card was colored with our Exclusive Inks Alcohol Markers and Blending Marker. For the blossom image I used our Chalk Marker and added just a touch of pink with a water pen and Smoothie ink. I love how the burlap ribbon gives it a country feel and the Mocha Pearls are a great accent. The message is from Card Chatter-Sympathy. 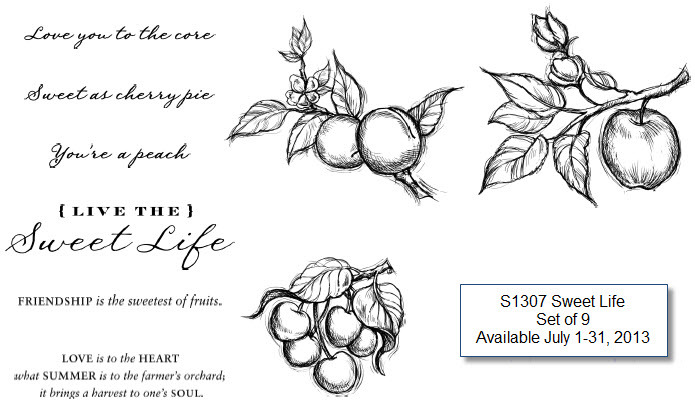 Here is a look at the entire Sweet Life stamp set. It's only available July 1-31, 2013. 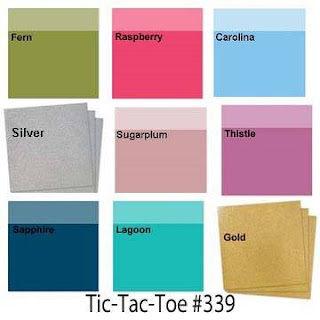 Click here to find out how you can get this stamp set for only $5.00! 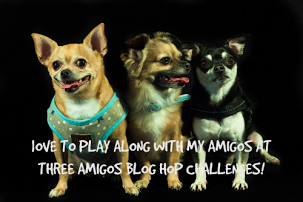 Now it's time to hop on over toto se Lisa Sargent's blog to see more goodies! Love your cards. The one with the burlap is my favorite. A couple a nice cards. Really like the one with burlap, gives it a rustic feel.